Overall, I’m satisfied with the state of the 1980s portion of my collection. However, I am missing a few of the box panel cards from the era — in particular the Schmidt cards from 1983 Topps Stickers and 1987 Fleer. Eventually, I’ll get my hands on them. 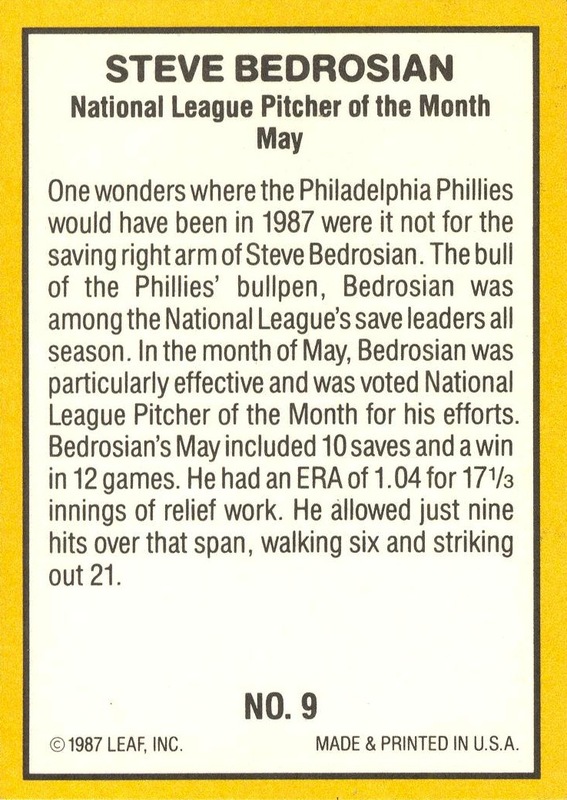 I like this box card in particular because Bedrosian wasn’t actually in the Fleer box set it was distributed with. (This card was cut from the vending box which held a couple dozen of the actual box sets.) 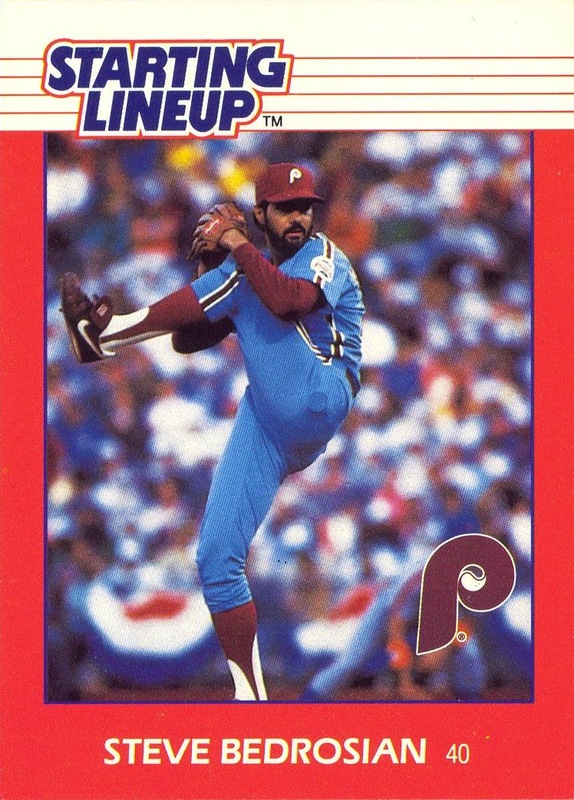 Fleer did something similar with its 1986 Baseball’s Best box set by placing Steve Carlton on the vending box but not in the set itself. Additional Information: Distributed through hobby dealers as a complete 56-card boxed set. 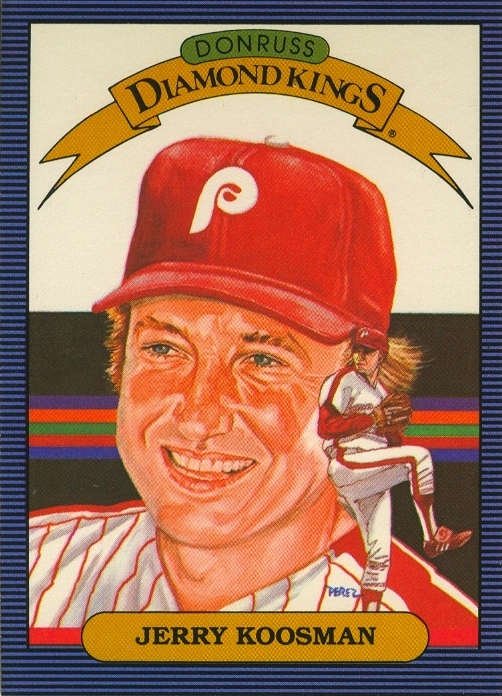 The front of the cards use the same basic design at the regular 1987 Donruss set, with the primary differences being the Highlights logo and the use of blue rather than black in the border. Finally, as I have been formatting the checklists and posting them online, I have been considering including checklists of items that might not normally fall under the broad umbrella-term of “cards.” Thus far, I am also including stickers and coins, and I have every intention to include Starting Lineup figures — especially since they shipped with cards. However, McFarlane figures seem like a logical thing to include, as well as things like the Phillies 8” x 10” program photo inserts. I have a post planned for this weekend that shows, in part, why I contemplating this. Anyone have any thoughts/suggestions about other items I should consider including? Parallels: Glossy; print run of 5,000 sets. The Glossy cards were originally sold only as complete sets. Additional Information: This set marked the debut of Score as a sports card manufacturer. It was also the first nationally-marketed, standard-sized baseball card to set employ full-color photos on the front and backs of the card. Each “series” of 132 cards bears a different border color. Cards 1-132 are purple; Cards 133-264 are blue; 265-396 are green; 397-528 are yellow; & 529-660 are orange. 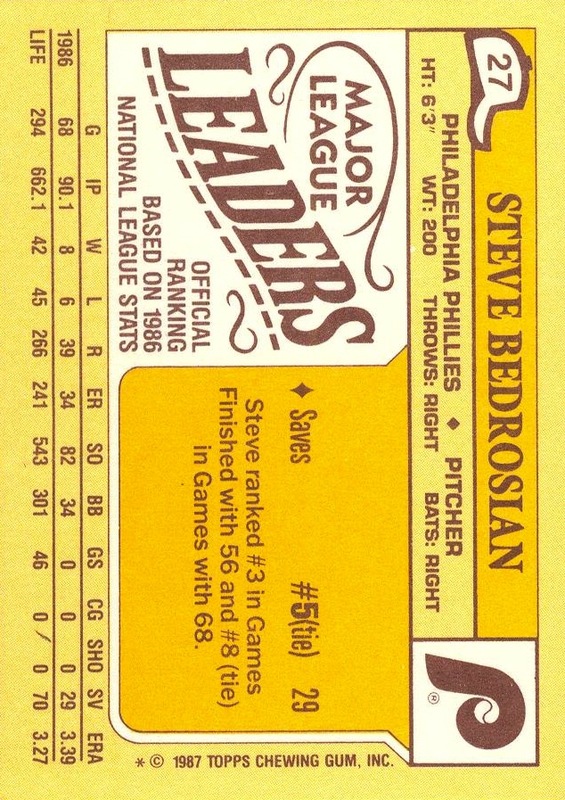 Additional Information: Beckett lists set as “1987 Topps Mini Leaders” and notes that the Hayes card is double-printed. I realize that at this stage I am applying the term “parallel” far more broadly than most collectors would ever conceive. However, I feel that by doing so I am illustrating the difficulties I personally face when deciding which cards I actively attempt to add to my collection. To me, the name of the set and method of distribution do not matter; the only thing that really matters is whether the picture, design, and text on a card are a unique combination that cannot be found anywhere else. Thus, parallel cards, as the term is commonly applied, are of little interest to me. 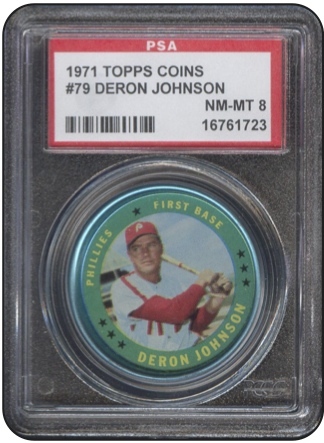 By extension, I have little interest in most of the product issued by Topps under the Chrome brand. Unfortunately, as I have already illustrated, I must at least pay attention to all those issues because nearly all the manufacturers at one time or another have altered a parallel in some manner to make the card a unique issue. This now brings me to the next grey area in the decision-making process: what to do about the O-Pee-Chee cards? Based solely on the three consideration points I previously stated (picture, design, and text), I would be actively adding O-Pee-Chee cards to my collection as well. 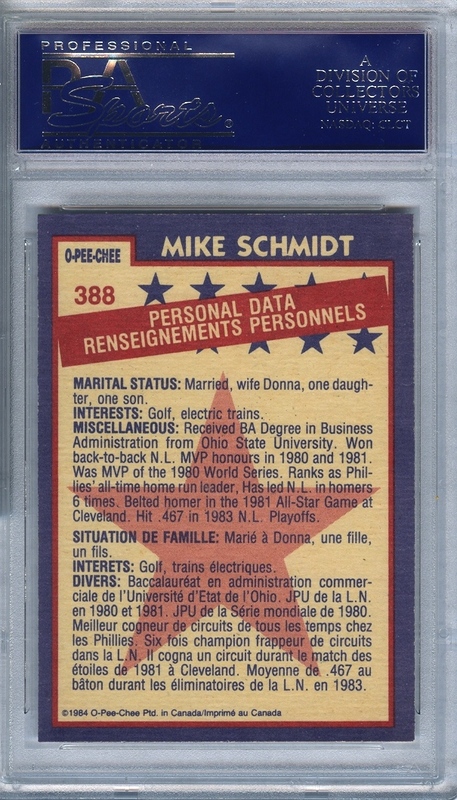 The text alterations sufficiently enough change some cards (e.g., the 1984 Mike Schmidt All-Star card) to the point where I want to add them to my collection. However, in most cases, I don’t feel as though that the change in the text is sufficient enough to warrant my attention. 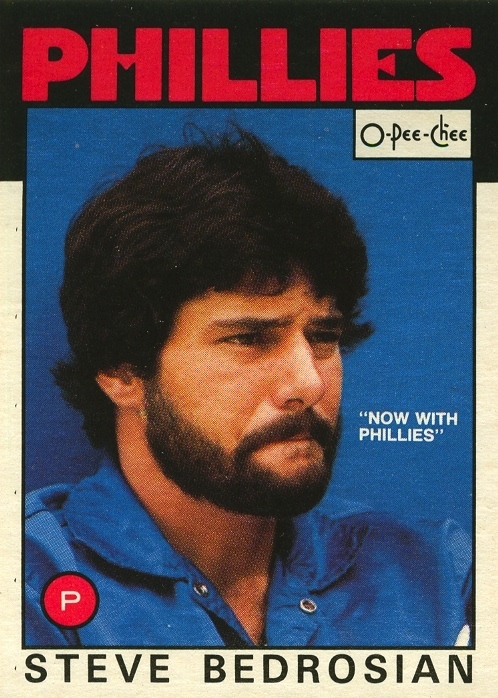 In most cases, the only quickly discernible difference between between the Topps and O-Pee-Chee versions of a card is the O-Pee-Chee logo on the front, and until the 1979 set, that wasn’t even the case. The fronts of the cards from both sets are actually identical up until that year, the first that Topps actually put a logo on the front of the card. To be fair, O-Pee-Chee did some things that make at least some of their cards of interest to me. 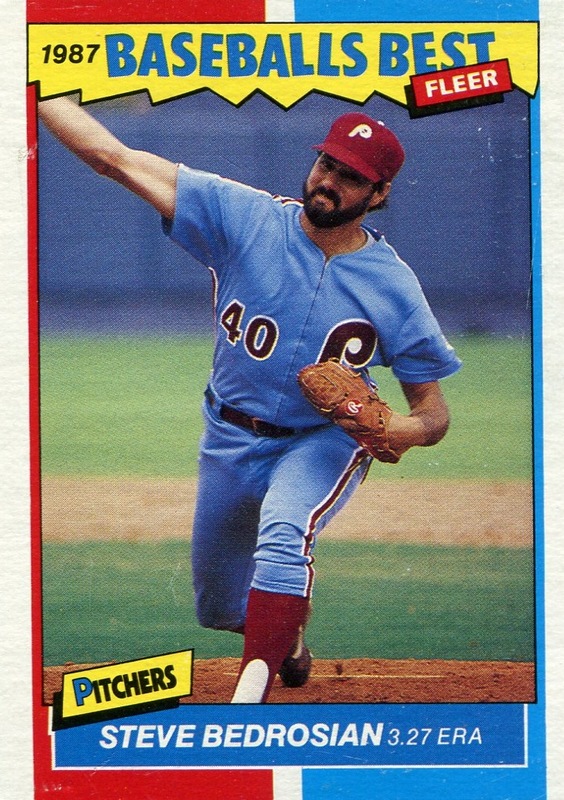 A few days ago, I mentioned their airbrush job on the 1977 Richie Hebner card, and while I don’t feel the need to compile a complete set of 1977 O-Pee-Chee Phillies, adding the Hebner card was an imperative. Once I knew about it, my 1977 Topps set didn’t look or feel complete without it. 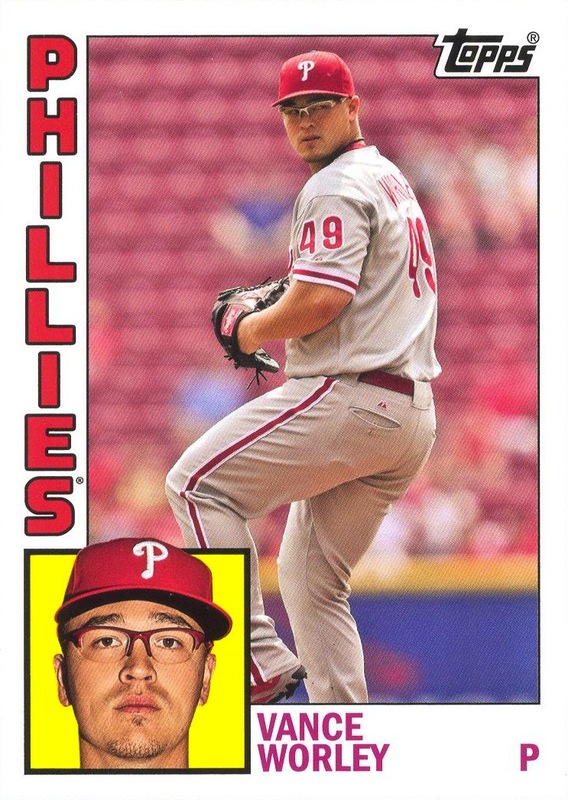 In fact, looking at it in a nine-card holder with other Phillies from the Topps set, you don’t realize that it’s not a part of the Topps issue until you flip the card over and look at the back. Then, there was what O-Pee-Chee did for a number of years starting with the 1979 set: they changed the team designation and color combo on the cards of those who changed teams during the off-season. That year, O-Pee-Chee applied that treatment to the Greg Gross, Pete Rose, Manny Trillo and Dave Radar cards, and in subsequent years, other players — such as Joe Morgan, Mike Krukow and Jerry Koosman — received similar treatments. 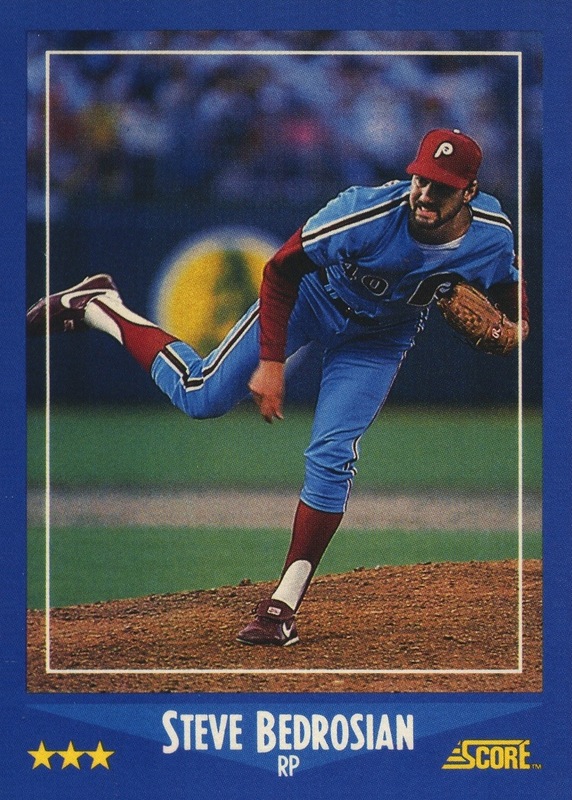 While I particularly dislike seeing cards where the team designation and the uniform don’t match, they are Phillies cards, and therefore deserve addition to my collection. However, there was one instance where happenstance favored O-Pee-Chee. 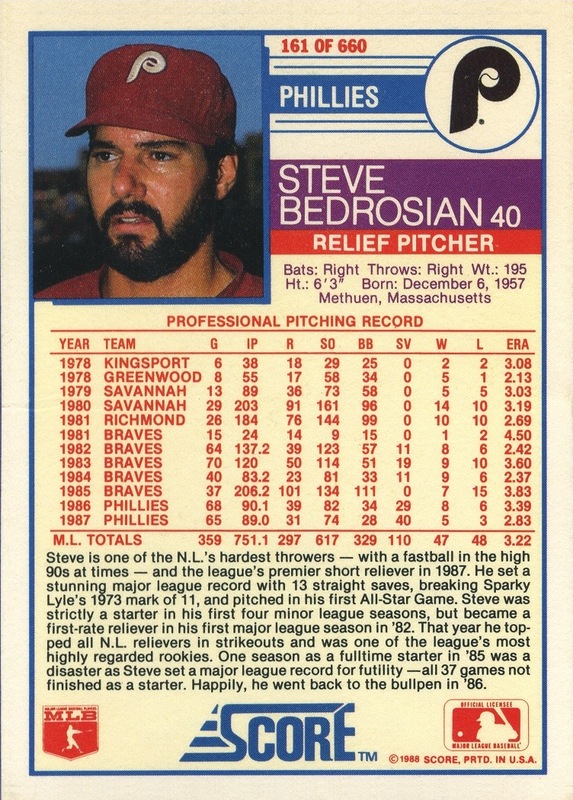 Steve Bedrosian’s 1986 card pictures him without a cap on, à la so many other capless Topps cards in the ’60s and ’70s. The card was retro before Topps tried doing retro with its Heritage sets, and as a result, there’s another card I feel comfortable placing alongside the Topps cards kept in 9-pocket sheets. It especially looks cool next to his 1986 Topps Rookies & Traded card. Sadly, O-Pee-Chee stopped this practice in 1988. 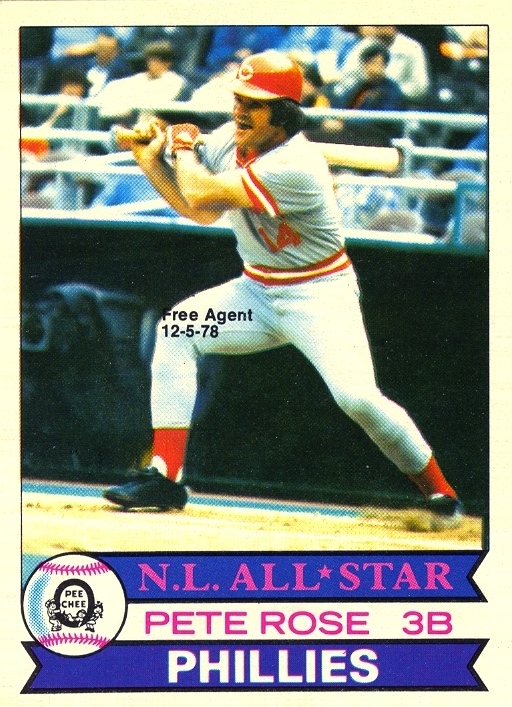 Instead, cards just noted offseason transactions with a note in the photo area and the team designation and color borders remained as they originally appeared in the Topps set. 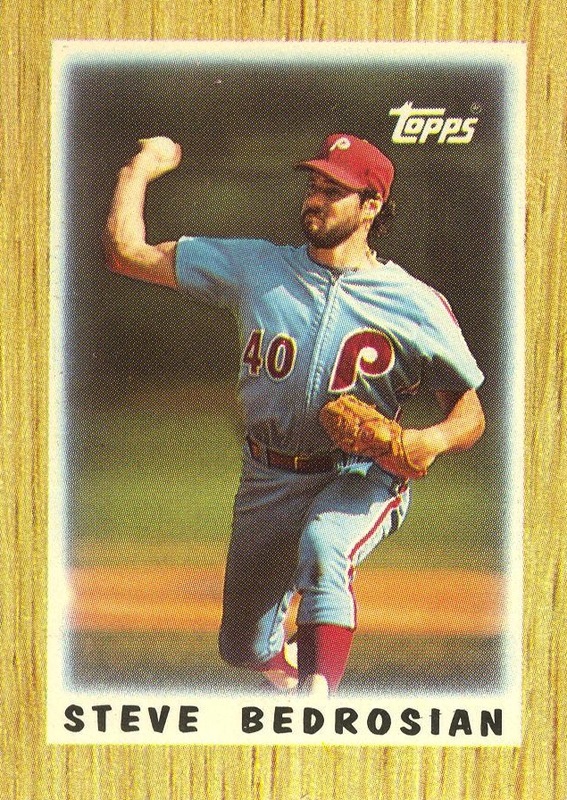 These particular cards cause me fits because I’m not certain whether they’re Phillies cards are not. 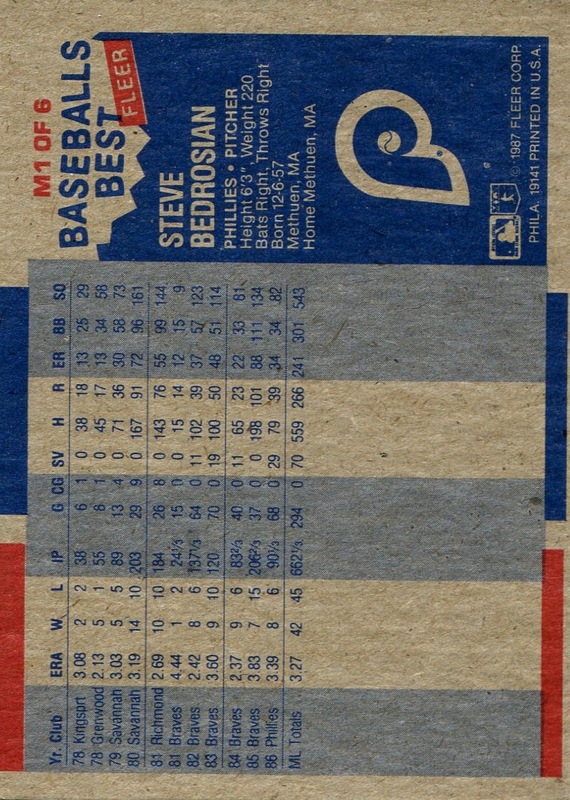 They do not look like Phillies card in any fashion, but they bear a small line of text stating otherwise. For the purposes of my collection, I choose to argue that they’re not, but it’s not a position I feel like I could defend. 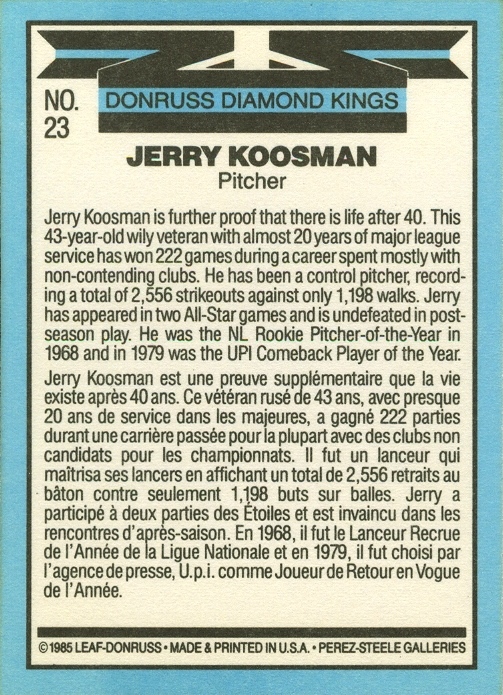 Most of what I’ve stated here also applies to the two-year period where Donruss issued a Canadian version of its set under the Leaf name. Unlike the O-Pee-Chee and Topps cards, however, outside of using both French and English text on the back the D0nruss and Leaf cards are identical and I am not aware of any variations between the two sets, which makes it rather easy for me to ignore them. 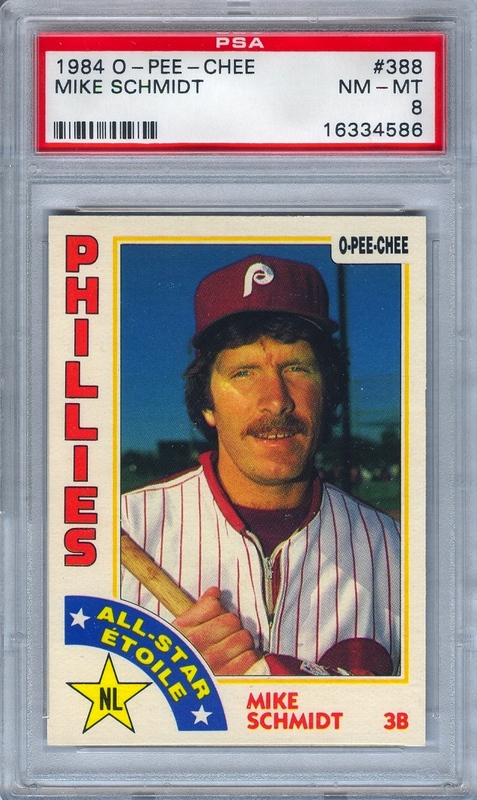 However, I must admit that the 1985 edition, with the Leaf logo next to the Donruss logo in the upper left corner, looks just different enough that I have waffled occasionally on whether I should acquire the Phillies from the set. I’d be remiss if I didn’t mention the oh my o-pee-chee! blog. It’s an excellent blog for reading more about the O-Pee-Chee issues from 1971 through 1992, and admittedly, I did use the blog to double-check some of what I wrote here. Finally, I truly hope that the fifth part of this series will be the last. 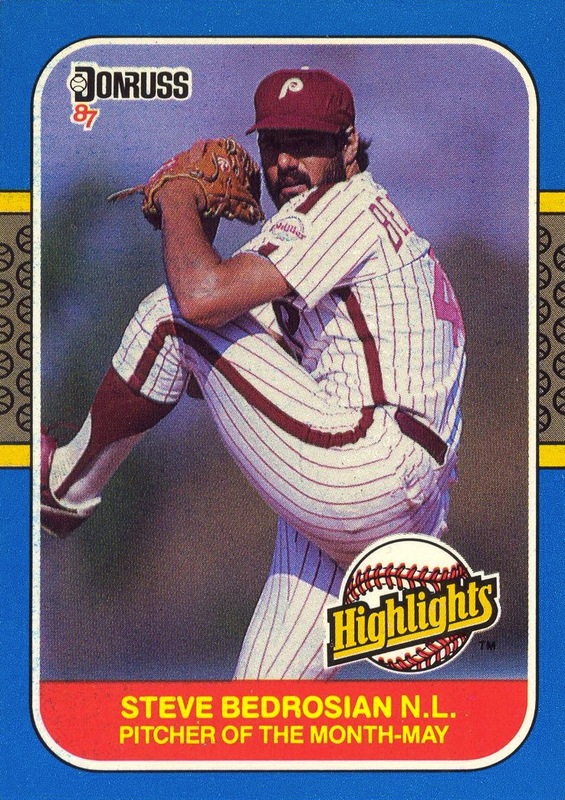 Really, I mean it… I’m ready to move on, but there’s one last subject I wish to cover before closing the book on parallel Phillies cards: team sets specially-produced by Topps.